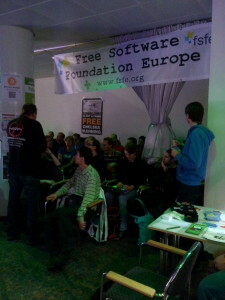 The interest in FSFE from the visitors side was very good. 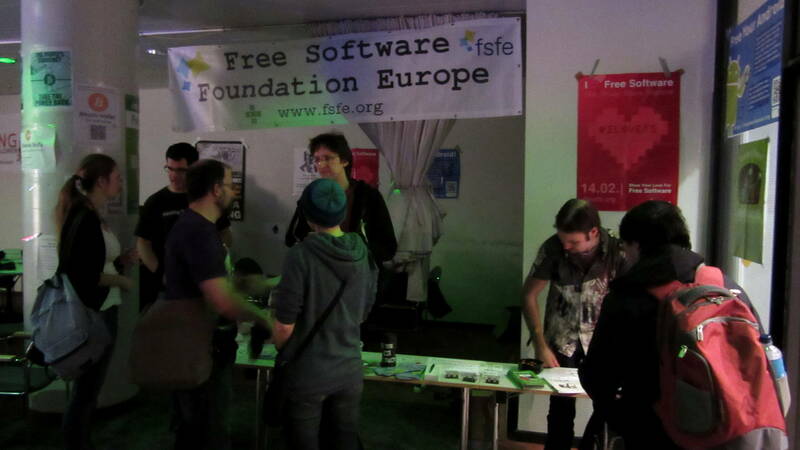 We were welcoming first-time visitors that liked to know what FSFE is doing as well as people that specifically were looking to meet FSFE in real. We brought thousand of flyers and other promotion material with us and have been spreading more than the half of it. The donation box we made for this event (see below) was also very well accepted. 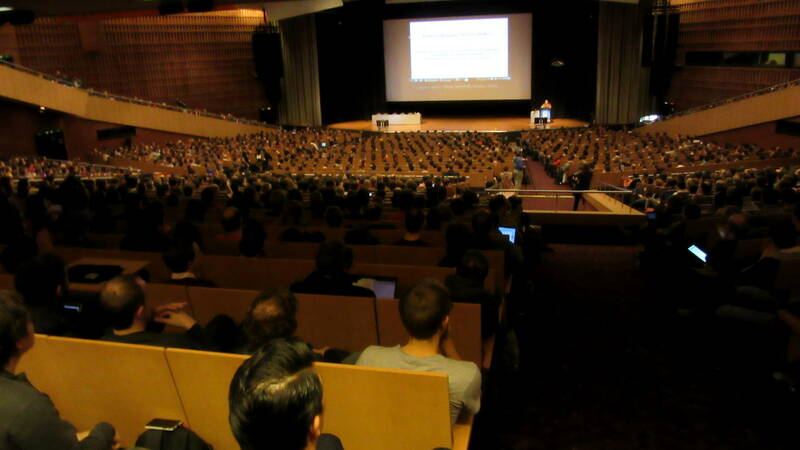 For me personally, the best experiences about having an assembly during 31C3 was the time and the comfortable atmosphere you enjoy when talking to people. About time: The event is open 24 hours for 4 days and talks are only during the days. That means, that people have a lot of time to walk around and explore the area. So, when they come to your booth they often have time to stay and listen to you. No rush. Whatever topic you or they like to talk about, you can get into detail and make sure she or he gets the message. About the atmosphere: We had enough space to seperate our assembly into two parts: There was the public part, that was like a booth. And behind that, we were setting up a “living room” so everybody could sit down, take his time and have a relaxed conversation apart from the busy hallway. Thanks to Ralf Staudemeyer and Werner Koch we were also running very interesting sessions about security on Android using only Free Software (see similar content by Ralf) and about GnuPG-encryption using a smart card. Fortunately, I have to say, these sessions brought us a bit in trouble. Fortunately, because we did not expect more than 20 people coming so we were planning to hold the session directly in our assembly. But no. Already the first session by Ralf about Android security was so attractive that more and more people came and we run out of space. Hence, we had to deal with our neighbours to use their space as well (thank you again for offering it) and in the end it have been around 70 people listening to the session. Even with the additional space, it was too much and some people were not able to hear the speaker. That’s why we were repeating the same session two days later (with around 30 people). Werner Koch and the GnuPG encryption also attracted around 30 people and so we can say that our sessions have been very successful. 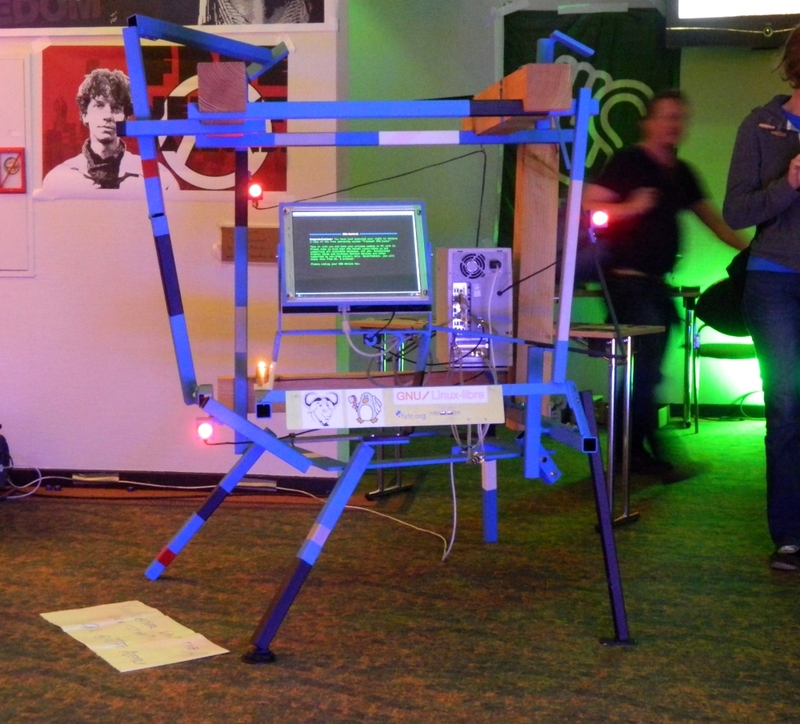 Thanks to Kai Mertens we also had an art object at our booth: “GNU control” – a human-sized sculpture of his set “Free Software Free Sculpture”. This sculpture is not just to look at, it’s also spreading Free Software. Whenever you put a USB stick inside, it counts down to ten when it will start to format the stick and put a live-CD from ArchLinux with a LinuxLibre Kernel on it. The sculpture got it’s attraction and definitely was a show stopper for people passing by, looking at, wondering and finally coming to the booth to ask about more information. 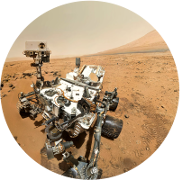 All in all, I am pretty sure we will repeat an assembly again in 2015 and we are also looking forward to host an assembly in summer at the Chaos Communication Camp. 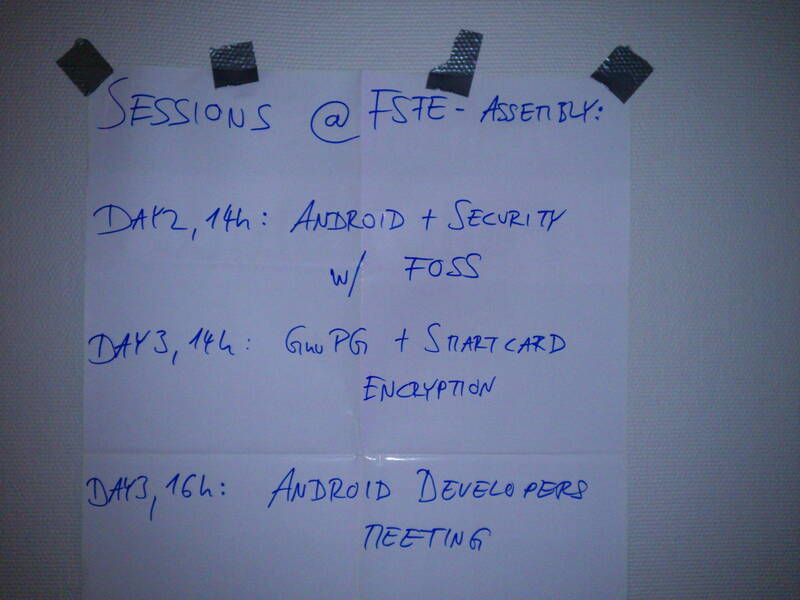 FSFE’s assembly without the team. 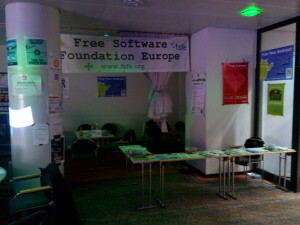 In the foreground you see kind of a “typical booth”, in the background was the “living room” to meet and talk. We got a lot of attraction from visitors. 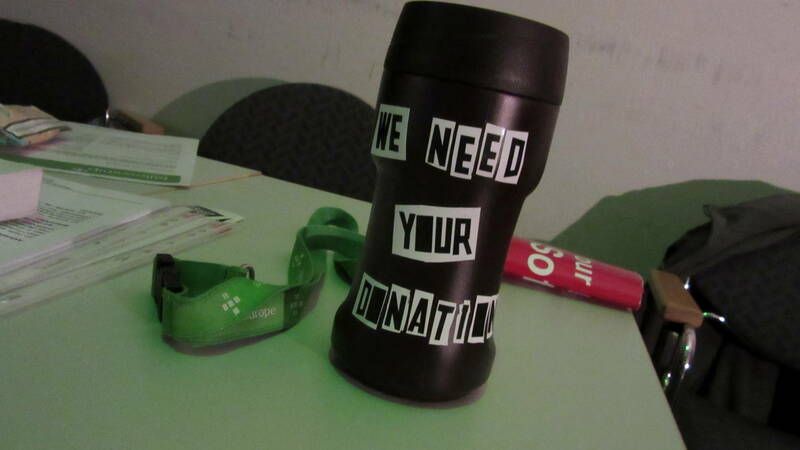 Unfortunately, we forgot our donation box. But, being good hackers, we used a “We cannot read your documents” sticker and some creativity. Our hand-made sessions plan. It was nice to see many people passing by, reading it and finally making a picture to remember to come to one of the sessions. 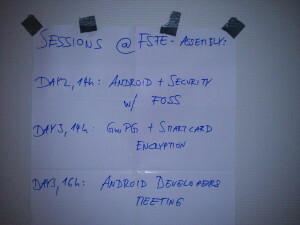 The first session about Android and security, only using Free Software. 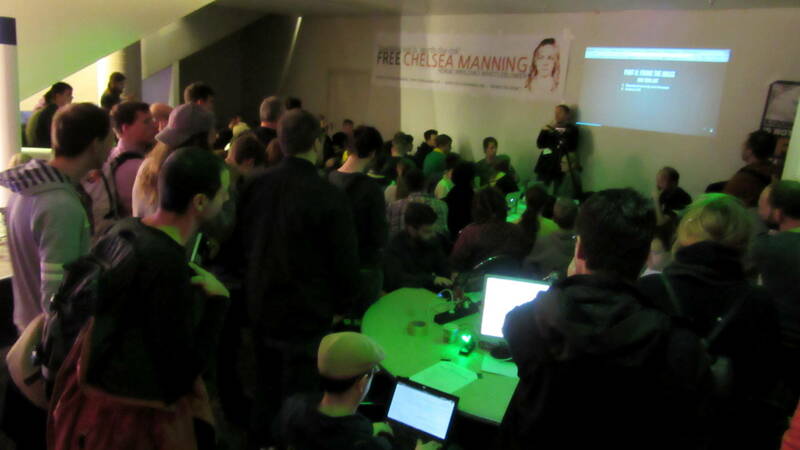 So many people came that we had real trouble in setting up proper space for everyone. 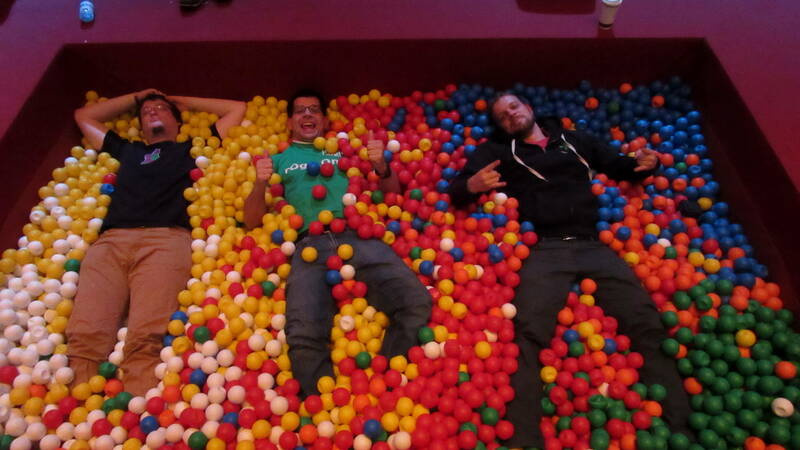 Finally, the team from the FSFE assembly also was in need of a break.